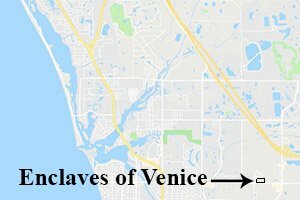 Enclaves of Venice North is a small neighborhood that looms big on the radar screen of the Sarasota real estate market in south Sarasota County. Several reasons account for its magnetic presence amongst prospective buyers of south Sarasota homes for sale, foremost of which is its superb location. This community is located north off of East Venice Avenue, which is less than a mile west of this road’s strategic junction with Jacaranda Boulevard. Equally winsome residential developments flank Enclaves of Venice North, attesting to the prime setting of its homes. 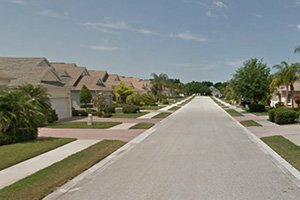 The larger community of Venice Palms borders this community north and west, while south off of East Venice Avenue spreads the residences of Grand Oaks and Verona Reserve. 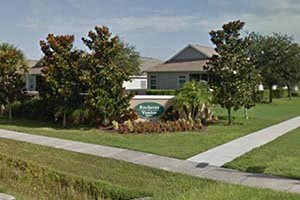 Though their community is smaller, available homes in the Enclaves of Venice North are as desirable as those in their neighboring communities. Many of the Enclaves’ 33 residences have water views as their lots back up to the lake on the northern edge of the property. The community’s tropical landscaping is well-kept and extends an eye-pleasing curb appeal to the residences. Enclaves of Venice North provides a fenced-in community pool with a cabana and furnished deck. Access to the property from East Venice Avenue is via the private Clement Road with no through traffic, thus contributing to a quiet environment for the residents. Notably too, the community has just one internal street, the cul-de-sac Mattamy Court. There is no CDD fee to pay for the homeowners of the Enclaves, and the property is outside of the flood zone. The community’s HOA dues cover upkeep of common open areas, landscaping, and the property’s pool, thus providing a maintenance-free lifestyle for the residents. Enclaves of Venice North was developed starting in 2005 and was built out in 2006. Its residences remain very well-maintained, and most are mid-sized dwellings. The properties listed in the MLS of Venice homes for sale are reasonably priced in the high $200s. Typically, these market listings feature floor plans between 1,600 and 2,100 square feet designed with three bedrooms and two baths. All of the residences in this community are one-story single family homes. Many life and leisure spots are walkable from the Enclaves of Venice North, thus adding to the marketability of its residences. Some of these local points of interest are just a short distance west at the strip mall of Villa Venetia Plaza beside the American Legion post on East Venice Avenue. Retailers, including a Publix Supermarket, are easily accessible too near the Jacaranda Boulevard. Less than 4 miles to the west, the corridor of Venice Avenue leads to historic downtown Venice replete with amenities: homegrown shops, restaurants, and cultural and entertainment centers. The Gulf Coast beaches and parks on this side of Venice Island are also popular local destinations both for residents and visitors alike. Eastward from the Enclaves of Venice North, the stretch of North River Road is only about a 3-mile drive, opening gateways to more of Sarasota’s delights. To the south, River Road unlocks the various lifestyle offerings around the master development of West Villages. This include the new spring training of the Atlanta Braves whose positive impact surely extends to listings of Venice homes for sale. Below are the current real estate listings available in Enclaves of Venice North.